When I discovered the seemingly odd combination of peanut butter and jam I was hooked. I think it was my Dad who first offered it to me on a piece of toast as a child, so thank’s Dad this is an ode to you. 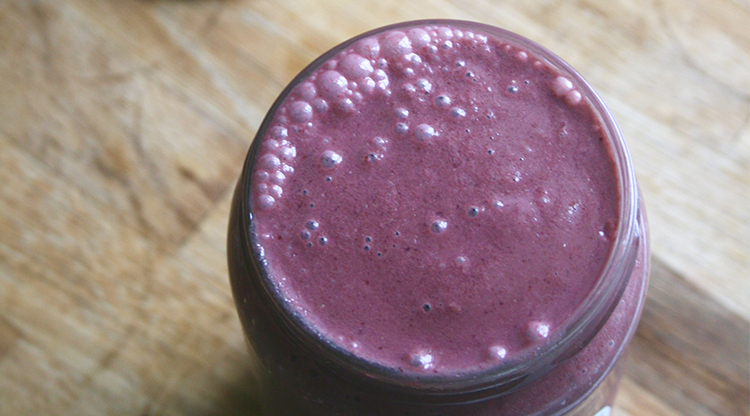 So grab that blender and get smoothie-ing (yes I made that up! 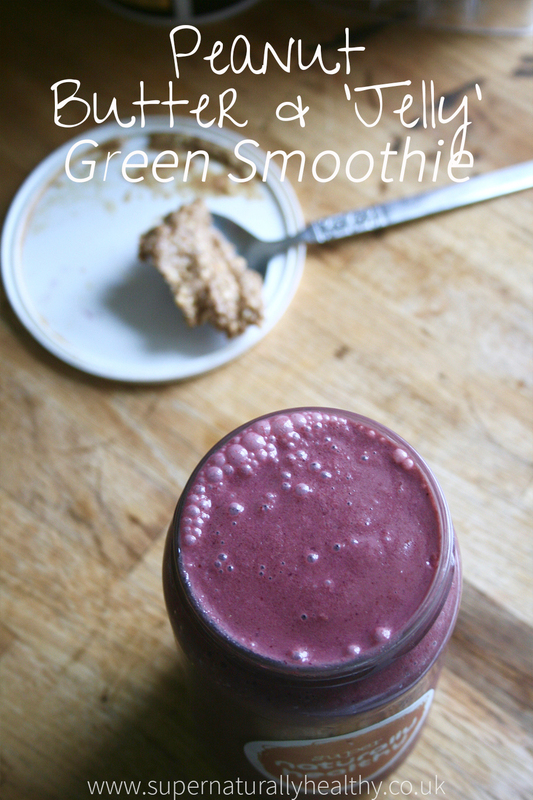 ), as green smoothies are one of the BEST ways to increase your greens, add more fibre, vitamin C, protein and fat to your diet – all in jsut a few mintues. And if you want more awesome naturally sweet recipes to help you increase your energy and heal your body which still enjoying comfort food, then click below to grab the Ulitmate eGuide to Natural Sweeteners. 1. Blend until smooth and drink immediately with ice if desired. If this is not sweet enough for you then simply add 1⁄2 a banana a medjool date. The thickness of smoothie may depend on your blender so add or reduce water/liquid as you see fit. Use any milk you like - cow, almond, oat, hemp or goat!